At Grand Parkway Pediatric Dental, we provide dental cleanings and examinations to young patients throughout Richmond, TX. We believe that preventative care is essential for staying in good oral health. Our goal is to keep our patients as healthy as possible, through ongoing dental care and teaching our patients how to practice good oral hygiene at home. If you live in Richmond or the surrounding area, call (832) 246-7255 to schedule an exam and learn how your child can stay healthy year-round. Dr. Faisal Khan and Dr. Adeel Khan work with children and know how to help them feel comfortable while visiting the dentist. 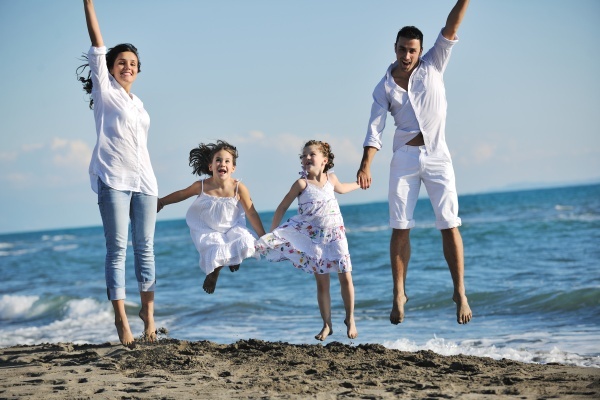 Families throughout Texas visit our dentist office to have their children’s teeth cleaned in a comforting environment. We recommend that teeth cleanings and exams start from a very young age. This is important for ensuring that baby teeth grow in properly and stay healthy until the adult teeth are ready to come in. Many people do not realize how important healthy baby teeth are. Children can get cavities and gum disease just like adults do. The main difference between the two is that children are less capable of understanding or dealing with the discomfort. We recommend that parents throughout Richmond bring their children in for dental cleanings and examinations at least twice a year. This way, we can remove harmful plaque and bacteria in order to prevent cavities. While cleaning children’s teeth, our staff has been trained to take it slow and practice gentle dentistry. By building a rapport with our young patients, they will feel more relaxed during their dental appointments. We make visiting the dentist fun, instead of intimidating. We also recommend that parents take the time to prepare their child for the dentist appointment. Some methods include reading stories about going to the dentist or a game in which the child examines a toy’s teeth. 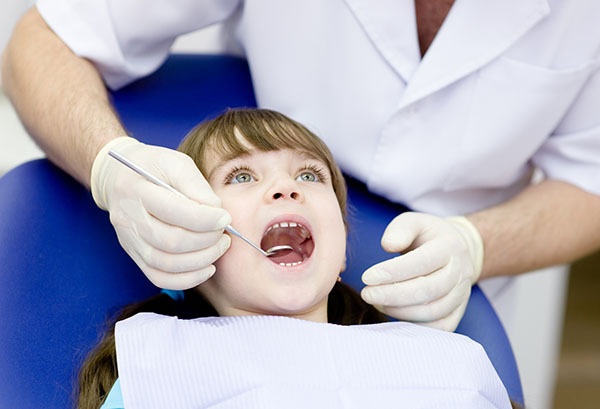 These little steps can help the child feel comfortable upon the actual visit to the dentist. By doing so twice a year, a child’s baby teeth are more likely to stay in until they are supposed to fall out and their adult teeth will also stay healthier. If you have questions about scheduling an appointment for your child, call 832-246-7255. At Grand Parkway Pediatric Dental, Dr. Faisal Khan and Dr. Adeel Khan practice gentle dentistry and provides teeth cleanings for patients with sensitive teeth. Many children and adults avoid visiting the dentist, due to concern that their teeth will hurt or feel worse during the appointment. When working with the right dentist, your child can feel comfortable regardless of how sensitive his or her teeth are. We offer a variety of sedation methods, helping our patients feel little to no pain during a procedure. Whatever your child needs to relax, Dr. Faisal Khan and Dr. Adeel Khan can create a treatment plan that includes sedation so that your child remains comfortable. If you live in Texas, it is important to understand the reason that teeth become sensitive. Very often, it is due to the enamel on the outside of the teeth wearing away. Enamel can wear away due to age, what you eat or improper oral health care. While brushing with desensitizing toothpaste can help, your child needs to continue visiting the dentist to ensure that the teeth and gums stay healthy. Otherwise, the sensitivity can increase. During your dental exam, let us know about the discomfort your child has been feeling. Once we know more about your child’s discomfort, we can discuss fluoride treatment or sealant to treat it. Check out what others are saying about our dental cleaning services on Yelp: Dental Cleaning and Examinations Richmond. Regularly scheduled dental cleanings and examinations in Richmond and the surrounding area can help to prevent a dental emergency. Many children go far too long between visits to the dentist. The longer a child goes between dental visits, the more painful his or her situation can get. In the worst cases, an infection spreads and leads to a dental emergency. For example, a minor cavity can be corrected with minimal discomfort. However, if the infection spreads into the center of the tooth, the dental pulp can become infected and a root canal will become necessary. Fortunately, these types of infections can typically be avoided by scheduling an appointment twice a year with Dr. Faisal Khan and Dr. Adeel Khan. It is important to keep in mind that healthy teeth are also less likely to become damaged or injured. By having your child stay in good health, you can prevent teeth from becoming cracked or chipped during an accident. During your child’s dental appointment, we will also discuss ways that you can help keep your child’s teeth and gums healthy at home. 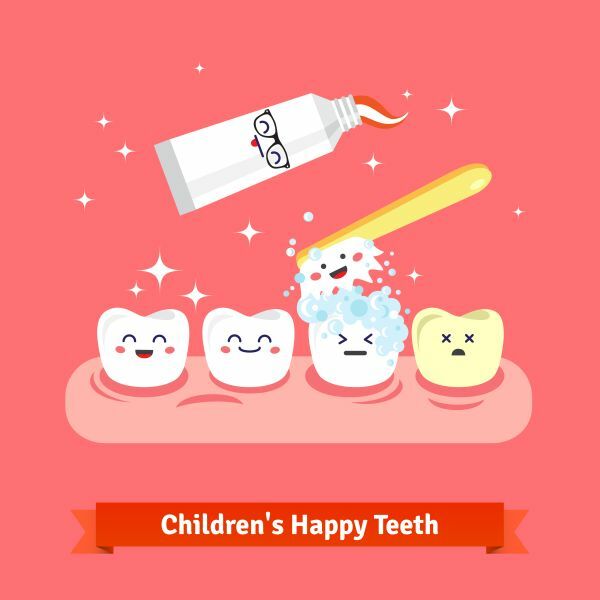 At Grand Parkway Pediatric Dental, we believe that good oral hygiene at home is an important step to keeping a healthy smile. We recommend that your child uses a soft toothbrush to brush his or her teeth twice a day with fluoride toothpaste. This will keep harmful sugar and bacteria off of the child’s teeth and strengthen them. Your child should also floss daily to get food particles and bacteria out of hard to reach places. The child can kill any remaining germs by following up with an anti-bacterial mouthwash. Your child’s diet is also important to good oral health. Make sure your child drinks plenty of water daily. It is also important that your child eats a balanced diet containing dairy products, lean protein, green vegetables and complex carbs. A balanced diet ensures the child will consume the nutrients he or she needs to stay healthy. We can provide additional tips and information during your child’s dental cleaning and examinations. To schedule an appointment with Dr. Faisal Khan and Adeel Khan, call 832-246-7255.